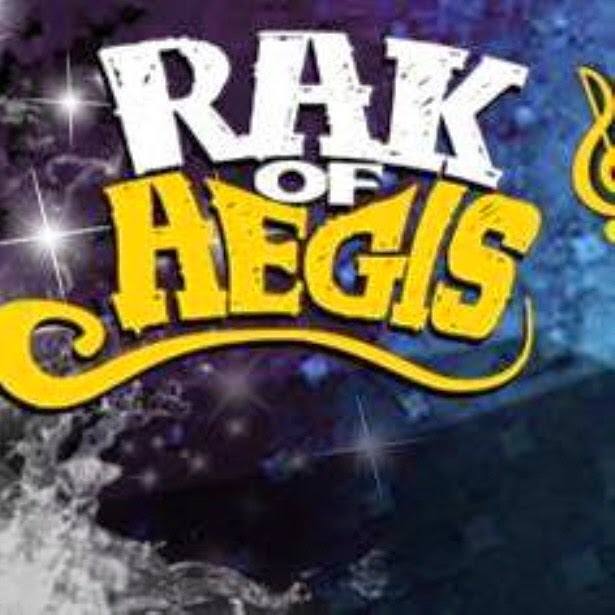 Rak of Aegis is an original Pinoy comedy musical that features the songs of Aegis, a novelty rock band that became popular in the Philippines in the 90s. The story revolves around the residents of the flooded village Villa Venizia. The main character, Aileen (Aicelle Santos), is a promodizer with an aim to uplift herself and her family from poverty using her singing talent as a stepping stone. 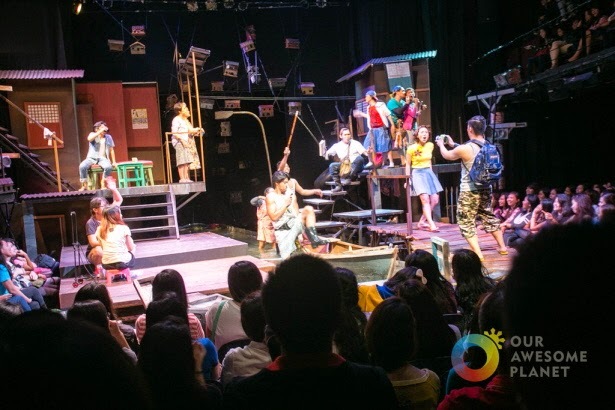 The play opens with Aileen and her friends recording a video of her performing amidst the flood and storm—a video meant to be posted in YouTube, in the hope of being an instant sensation. Complications arise as the plot unfolds, including the accidental loss of the video they had made, Aileen losing her job, and a family dispute concerning Aileen’s dreams of instant fame. But if you think the theme is too heavy for you, fret not as the play is filled with lots of punch lines, pick-up lines, and acting so funny you would not be able to sit still. (unless you obtain a special permit). I loved the dynamic set, allowing the actors to come in and out of the stage from almost anywhere, even utilizing a small pool of water in the middle to simulate flood, with a real boat gliding in and out. With the split-level design, they were able to effectively maximize the small space. It was just a bummer because our seats weren’t directly facing the stage. The transitions were smooth, and I loved how the Aegis songs were weaved into the story (“Christmas Bonus” in the scene where Aileen lost her job, “Basang-basa sa Ulan” while recording the viral video). Whoever conceptualized and wrote this—award-winning playwright Liza Magtoto—was incredibly brilliant! The only negative feedback I have is that a lot of times, I got too distracted with the “supplementary act” going on. For example, parts where the voices of Aileen and her boyfriend (supposedly the focus of the scene), were drowned by those of the neighbors’ talking on the sides. But overall, I extremely loved the show—especially the musical acts and the cheesy scenes between Aileen and Tolits! Oh, and Cacai Bautista was awesome. After the show, I spotted a few celebrities and couldn’t resist a photo-op. LOL! 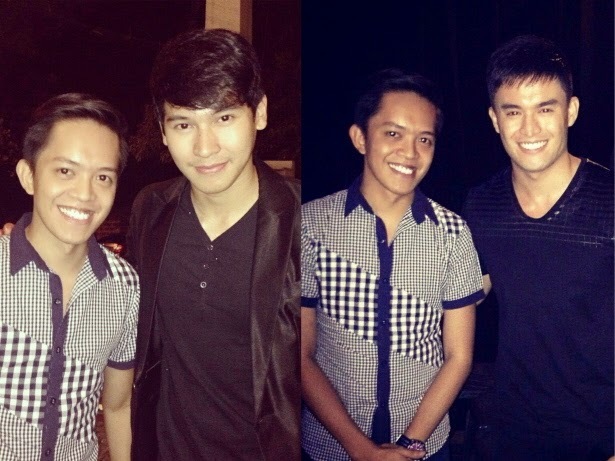 Cornered Enchong Dee and Prince Stefan. Hahaha! 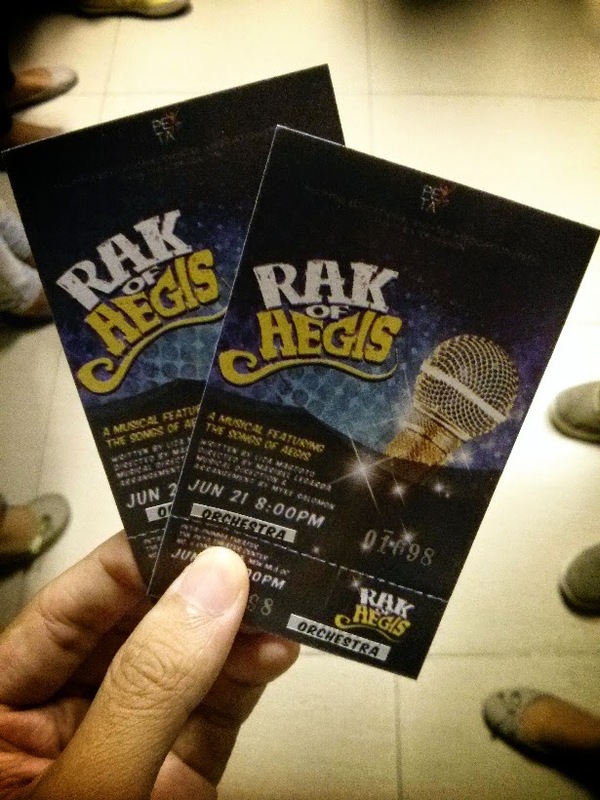 I highly recommend watching Rak of Aegis! Not only is it a comedy, it’s a play that has an underlying message as well. It showcases Filipino resilience, a trait that the world admires us for having. Resilience amidst disasters we face, may it be a one-time catastrophe like Ondoy, or its after-effects which can translate into an everyday struggle—like the lives of the Villa Venizia residents. I loved the play's funny approach to such a big social issue. The play ran as a series of 36 shows in the first quarter of this year, and gained incredible success. From June to August, the Philippine Educational Theater Association (PETA) is holding a restaging, so buy your tickets now and make sure you go for VIP! This is a must-see show! If you don't manage to get a ticket, murder someone who already has one! 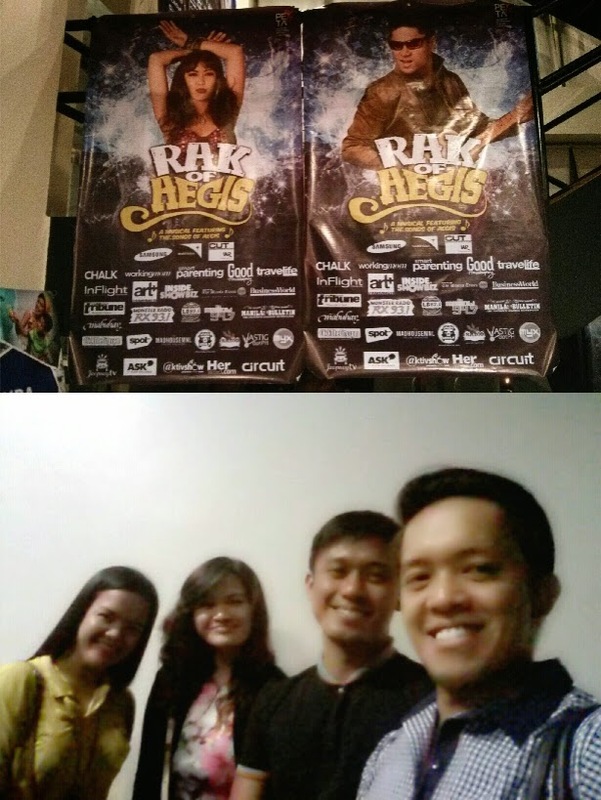 Special thanks to RCBC for our free tickets to Rak of Aegis! Congratulations to the actors, director, writers, and all the people behind Rak of Aegis! Have you watched Rak of Aegis? How did you find it? Drop a comment in the comments section below!